So, you want to impress your girlfriend with a necklace? Well, why on Earth would you wanna do that when you can just get a DSS Choker for yourself instead? Except for cosplay I just can't see any occasion to wear that thing, not only for what it represent in the movie, but also because that device is not very beautiful, besides even the product above isn't very good : looks more like a dog collar to which they glued two cheap red plastic rectangles, which is probably exactly what they did. And they sell that 44$! That's ten dollars more than the 3.0 Groundwork that's infinitely more interesting! Chokers are not, that is not. 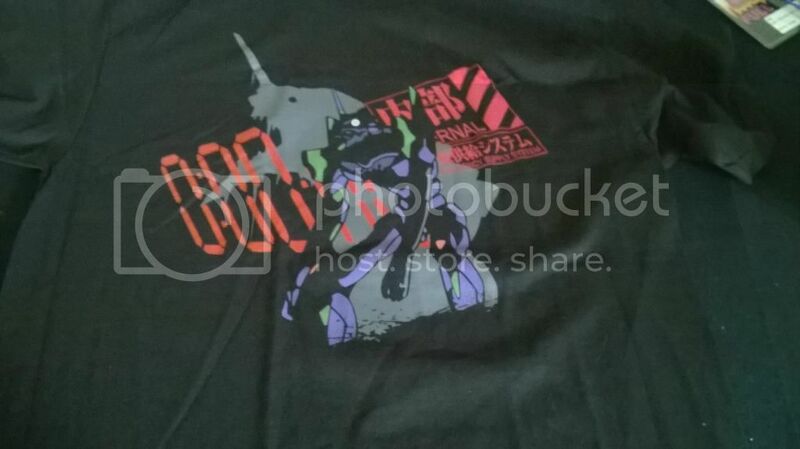 Re: Eva Merchandise 2, or, Why Do I Keep Buying Things!? FreakyFilmFan4ever wrote: So, you want to impress your girlfriend with a necklace? SHH! The fake character in this fictional scenario isn’t ready to come out of the closet yet. I might buy it if it looked better. That one doesn't appeal to me at all. Wondering why a black metal with some lining to prevent chafing wasn't used. There were replica Battle Royal collars I remember from 10 years ago that used metal. That depends entirely on how well you can play the piano. I don't care for Eva-elitists. I don't know everything, and neither do you. 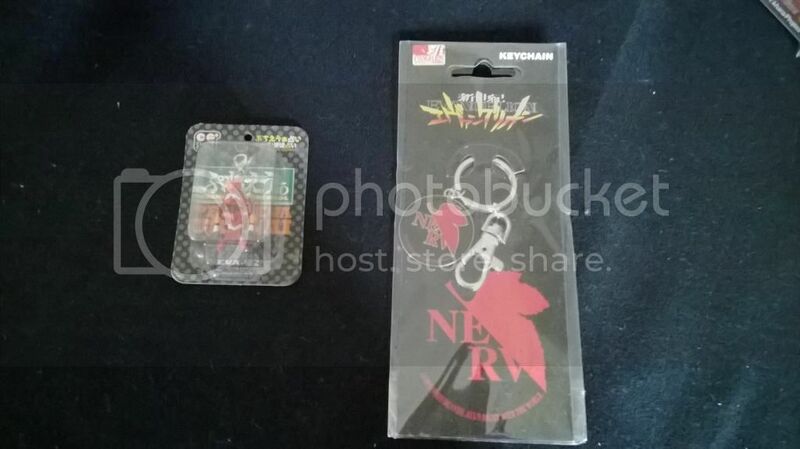 A Unit 01 wristwatch is being released (ANN link here). The problem is that it's almost $2500. It look pretty damn nice too. 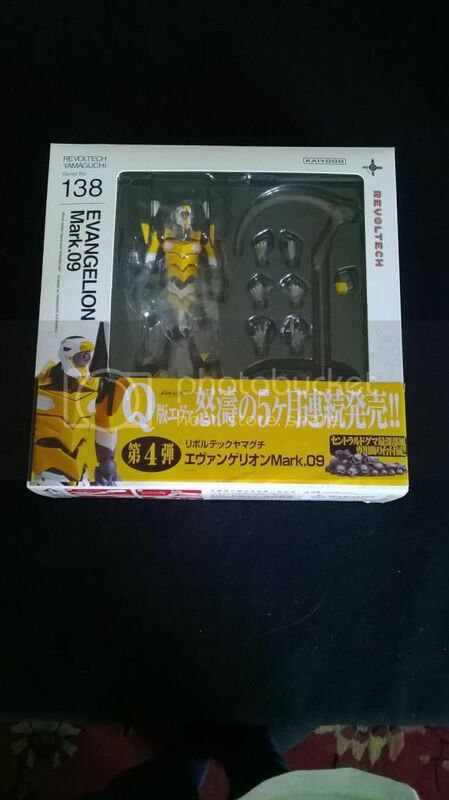 cyharding wrote: A Unit 01 wristwatch is being released (ANN link here). The problem is that it's almost $2500. It look pretty damn nice too. The only eva watch I'd ever consider buying is one of the casio G-shock ones, you won't constantly worry about breaking it 'cause those things are tough and it doesn't cost a mint to wear on your wrist. Wait, there are Eva fans out there that can blow this kind of $$$$ on a watch? I want to be one of them. Honestly though, I first saw this watch on Instagram and that watch face did not strike me at all. I don't have that kind of money, and if I did, I wouldn't spend it on a watch. And particularly not that watch. However, I'm sure there's somebody out there that'll like it. Just 'cause I don't find it appealing doesn't mean it ain't good. If I had that kind of money to put towards a watch, I'd want something legitimate, like an Omega Speedmaster, a Cartier Tank, or a Rolex Submariner. Whenever something high end or pricey like this comes up the consideration is blow all that money on one item or spread it out over multiple, like 10 RAHs. 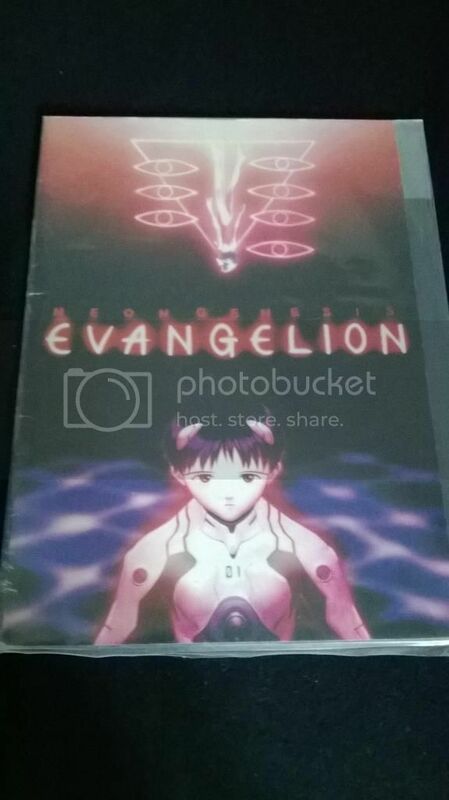 Bought a bunch of Eva crap from ACen. Most of it's NTE stuff, but still pretty happy with it. 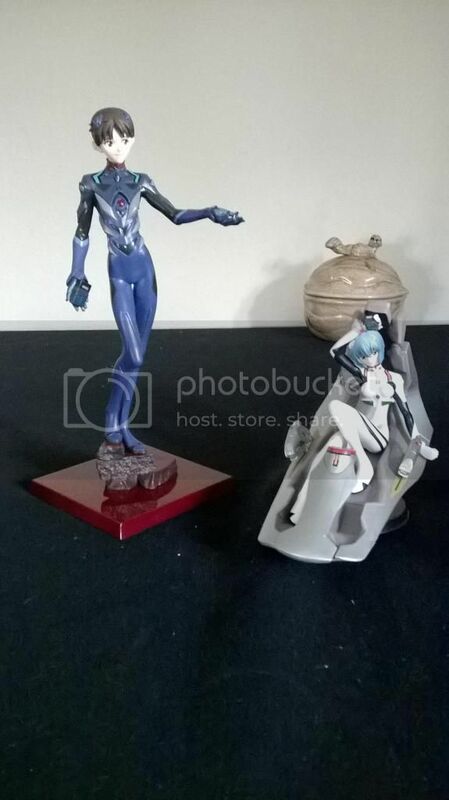 The three guests that visit my apartment a year will know of my true Eva love. Sakura, Maya, Shinji. 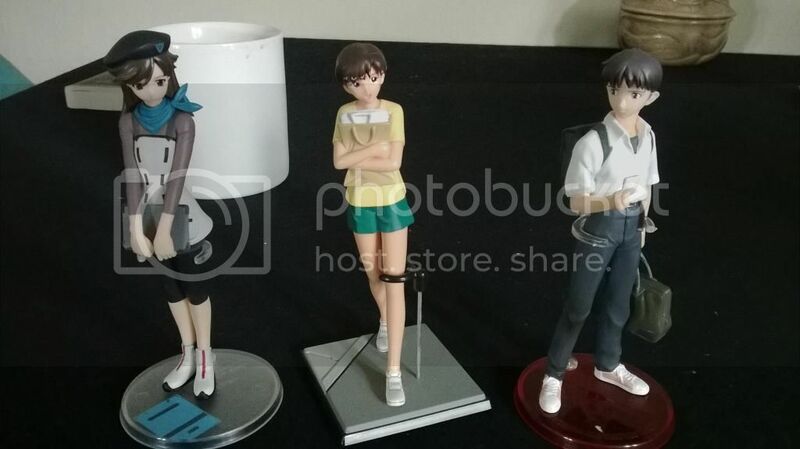 Really like these three, although Shinji's face doesn't look like Shinji's face. The Sakura figure looks great. 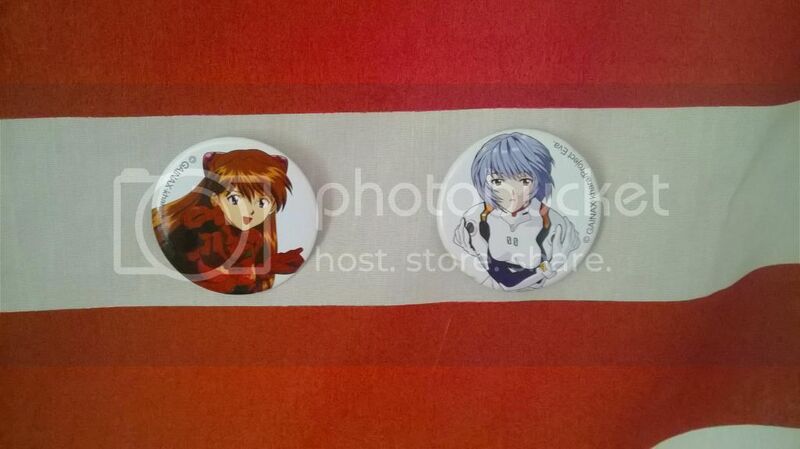 Cute Asuka button to go with a cute Rei button I bought last year. Keychains. The Nigouki was from one of those Eva@school random things. Got a Sahaquiel one last year; if I got another I would stop being an eva fan. Episode 19 shirt. Mostly only bought it because Ep. 19 was crucial in my eva fandom. Mark. 09. It was either this or a Sangouki model which I kinda wish I woulda bought. Oh well, there's always next year. Is that Maya from her brief appearance in casual clothes during the Yamashita scene in 2.0?